After my weekend with the girls, the next stop on my journey was to visit a few more friends in New York. 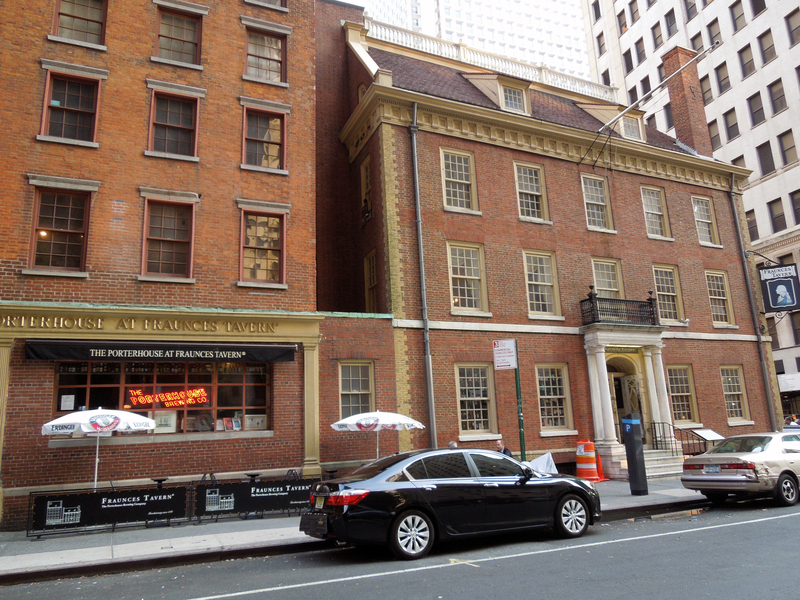 One, who knows me too well, was dying to take me to Fraunces Tavern for drinks, or food, or whatever, but mostly for the design of the place. What a cool place this was! From the moment we walked in, my eyes wandered up, down, all around, admiring the way they combined modern and antique elements to create an environment that truly moulds your experience here. 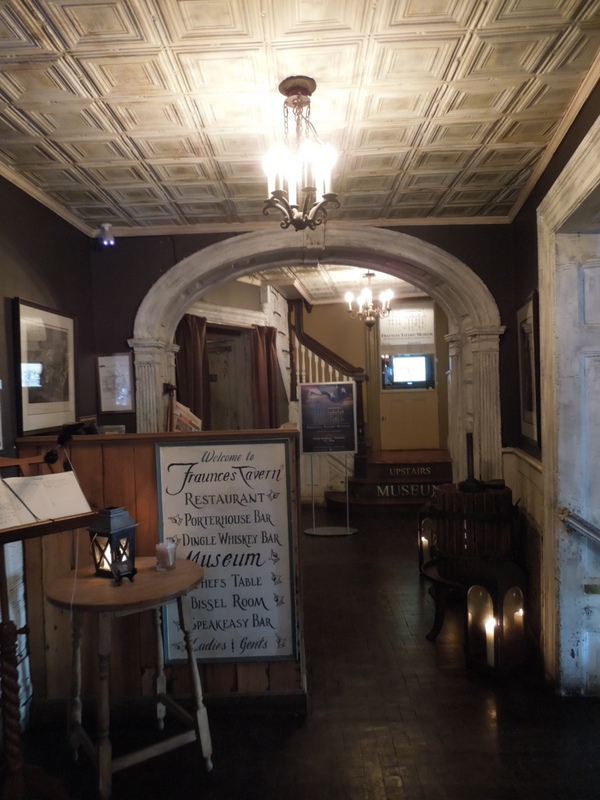 Their sunken dining room (The Tallmadge Room) at the front of the building featured creative re-use of church pews as dining seating. 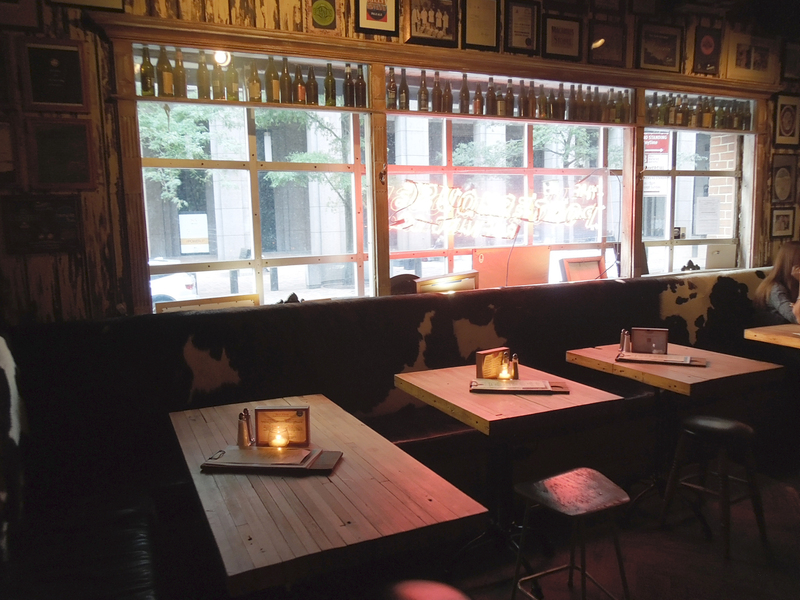 To me this is so much cooler than a booth, and would be a fun dining experience with a group of friends. They had a huge whiskey menu (which my hubby was surely jealous of) that went lost on me. 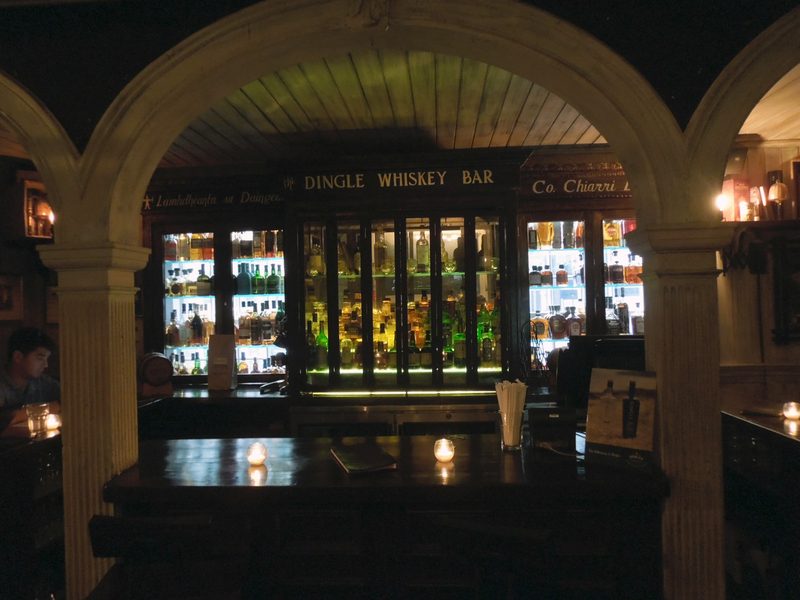 But I’m sure if I were a whiskey drinker, I would have loved to settle in at their Dingle Whiskey Bar. 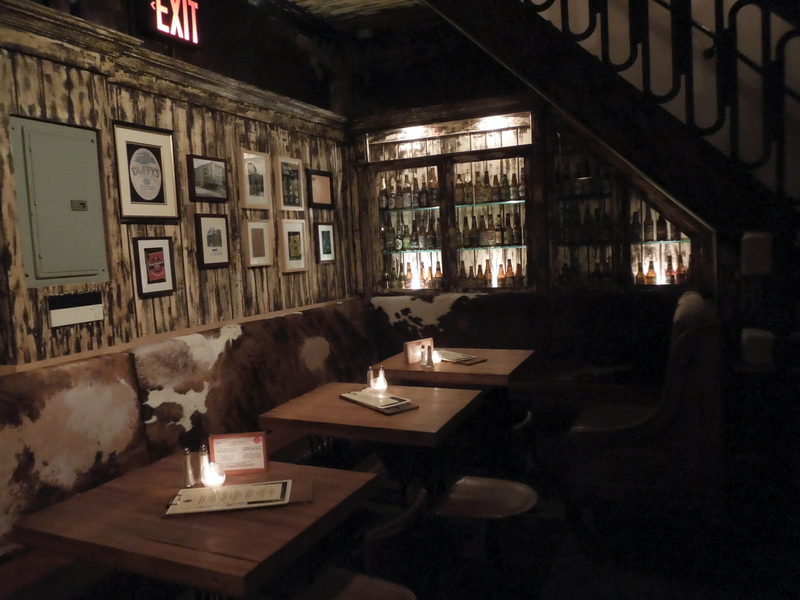 The main bar (The Porterhouse Tavern) was very rustic feeling, my favorite element of which was the cowhide banquette seating throughout. Glass shelving filled with bottles made for unique dividers to separate one banquette seating area from the next, creating a more intimate experience. I wish I could have walked the tavern with one of the designers so I could have asked where this bar came from! It looked like an antique, salvaged piece from somewhere. I guess I’ll never know. 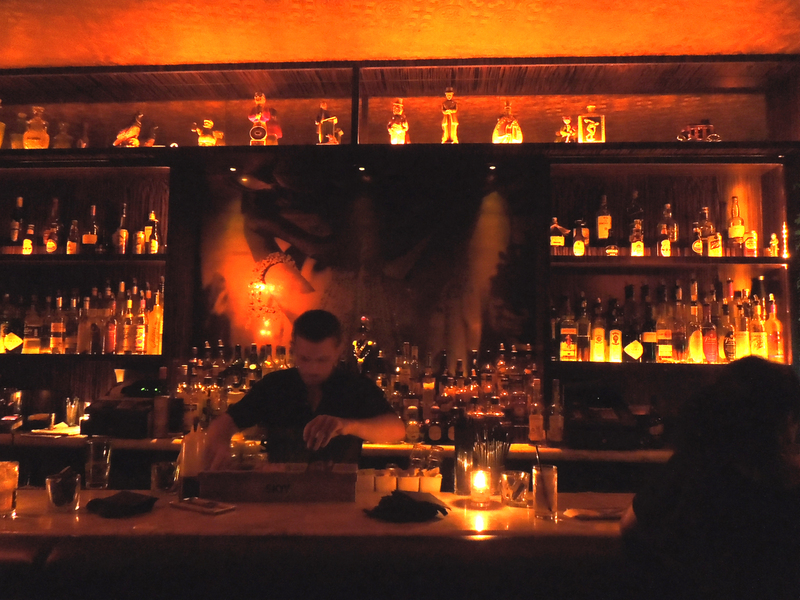 Behind the main bar, I kept wandering and discovered what a maze the place is! Around every corner there seemed to be one more cool room. 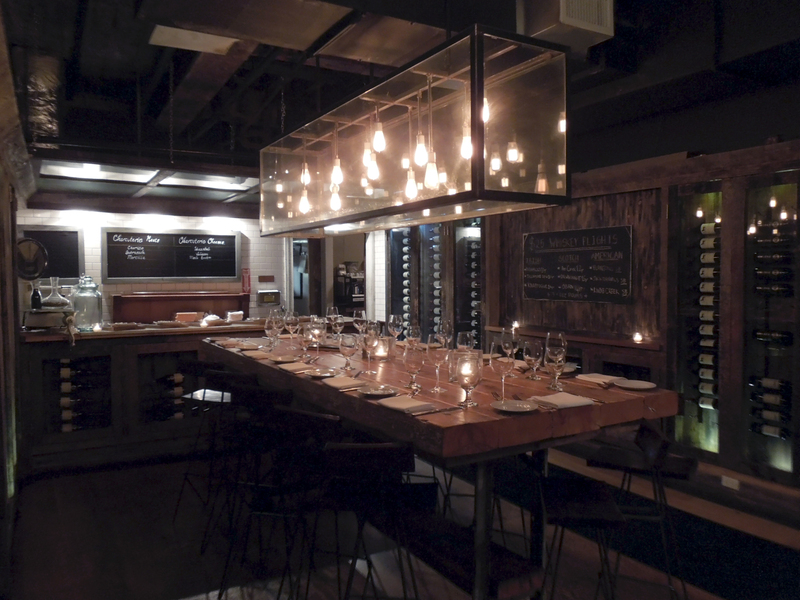 This is the Chef’s Table, set in a wine cellar-esque setting. Beyond that I found the Speakeasy, which was unoccupied but still looked like a great setting for a few beers on a Friday night. And lastly, the Bissell Room. 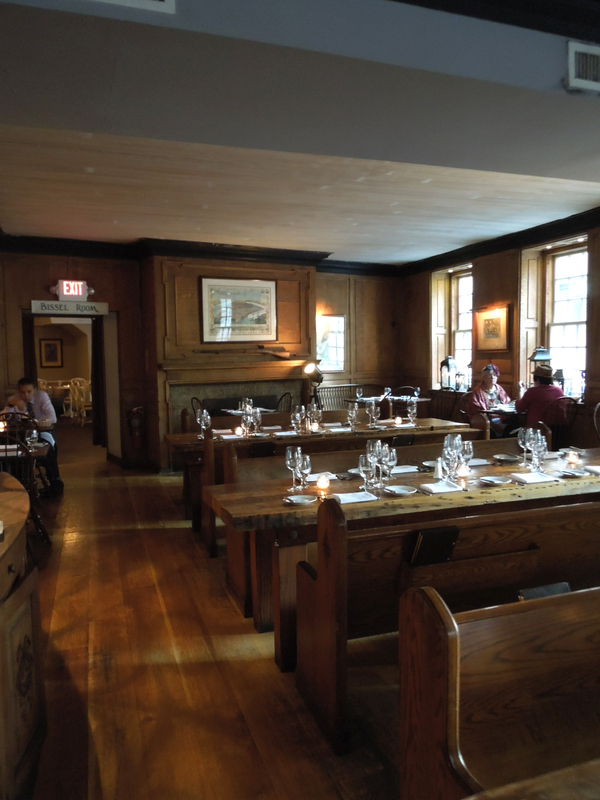 Even though this dining room felt quite a bit more formal than the other spaces, it would none the less be a comfortable place to sit down and stay awhile for a leisurely meal and a few cocktails. Which is your favorite room? Today I’m taking a break from vacation photos (and maybe you need a break too!) to share a little bit of what I’m working on in one of my classes. In my lighting design class, we were tasked with essentially doing a case study in lighting on a bar, restaurant, or hotel lobby. 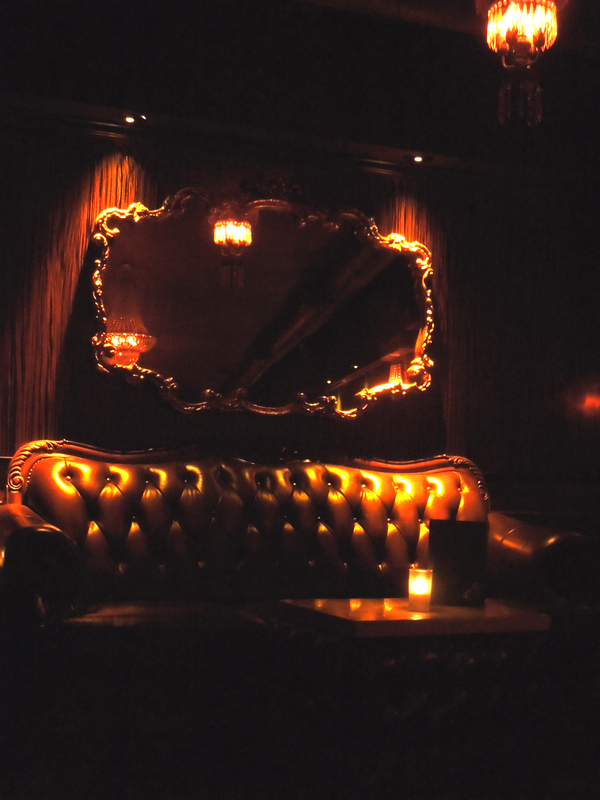 So I gathered the troops (aka a few willing friends) for a night out in Hollywood to check out the Parlour Room for my project… and for a few cocktails, of course! 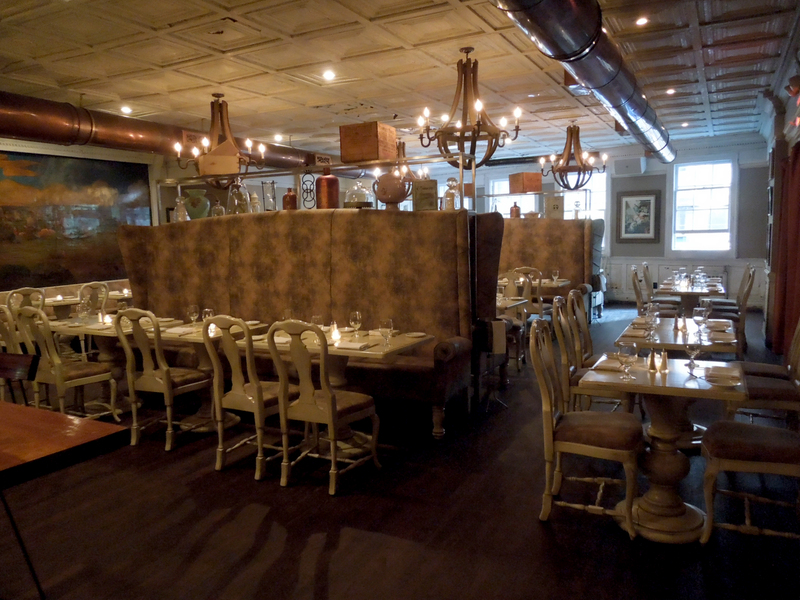 Note: These pictures were taken without a flash and are intended to highlight the lighting elements of the space. 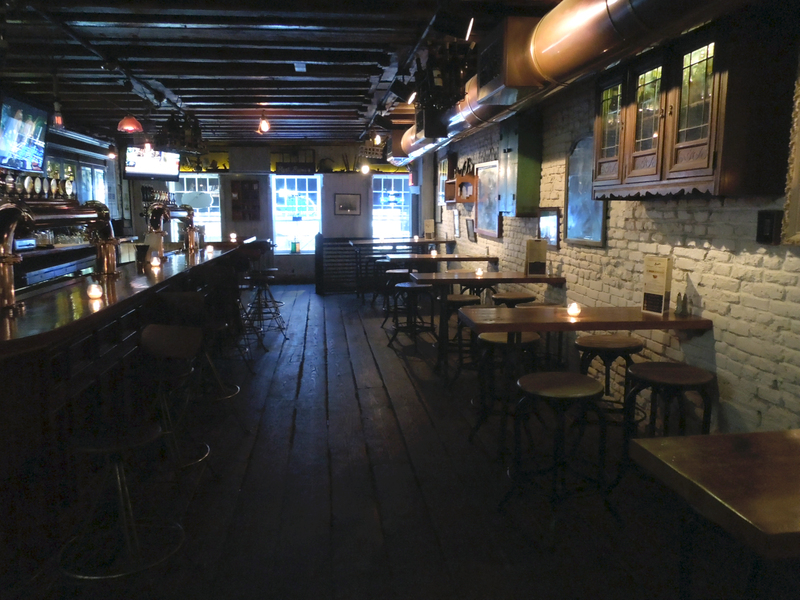 The colors have not been altered, and are a fairly accurate representation of the warmth of the actual lighting in the bar. 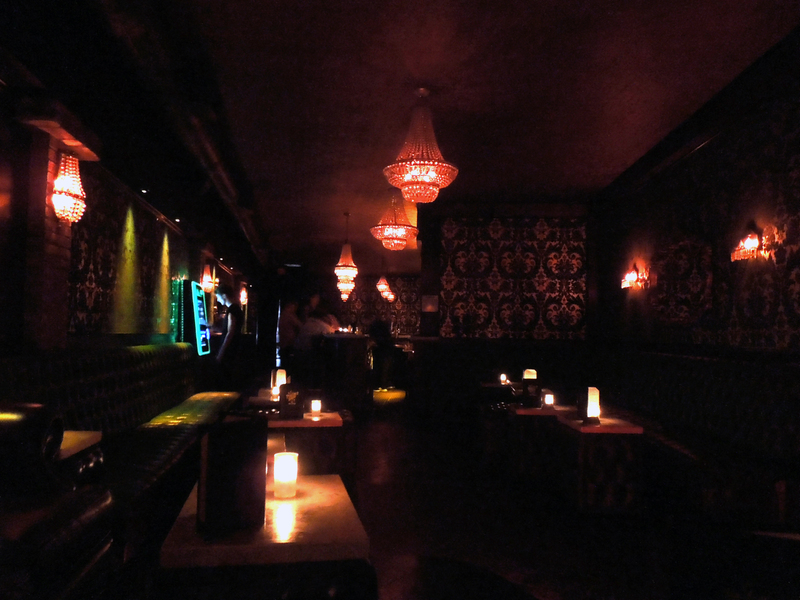 The Parlour Room in Hollywood is known for its “dive bar” atmosphere. 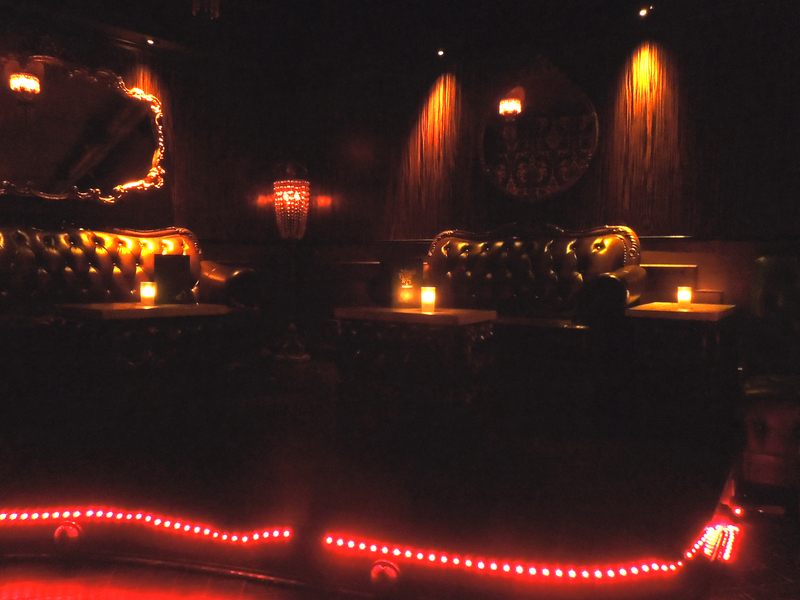 Its small space and dark, high contrast lighting give off pockets of lit areas where you feel as though you should have a whispering conversation with close friends. 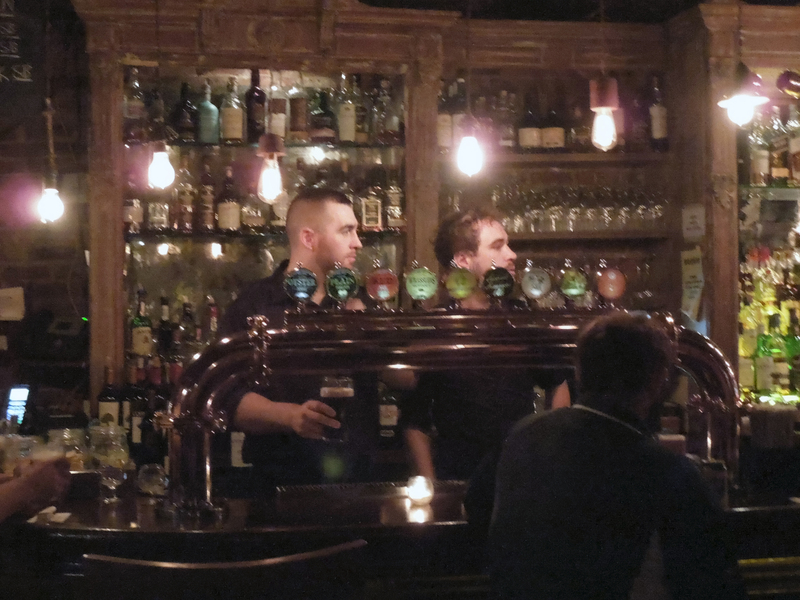 But more than your typical “dive bar,” the furniture, wall coverings, and chandeliers lift this one into a much more trendy status, but also seem to imply an old-world mentality, as though this bar could have easily survived since the early twentieth century. The ceilings were decorated with wonderful vintage chandeliers that provided only very low amounts of ambient light throughout the space. It was just enough light to give you a sense if the pattern in the wallpaper surrounding the room. I was very surprised to notice the amount of candle light used to actually light the space. Im more farmiliar with a little candle on a cafe table at night to provide ambience, but here the candles on each of the cocktail tables were necessary to light the space. 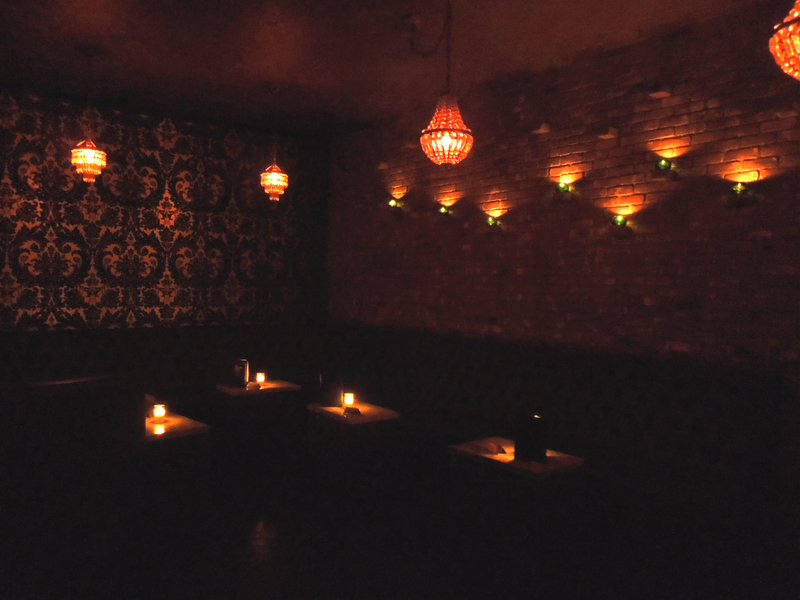 They even used candles to light this brick wall, which significantly helped brighten up this corner of the space. 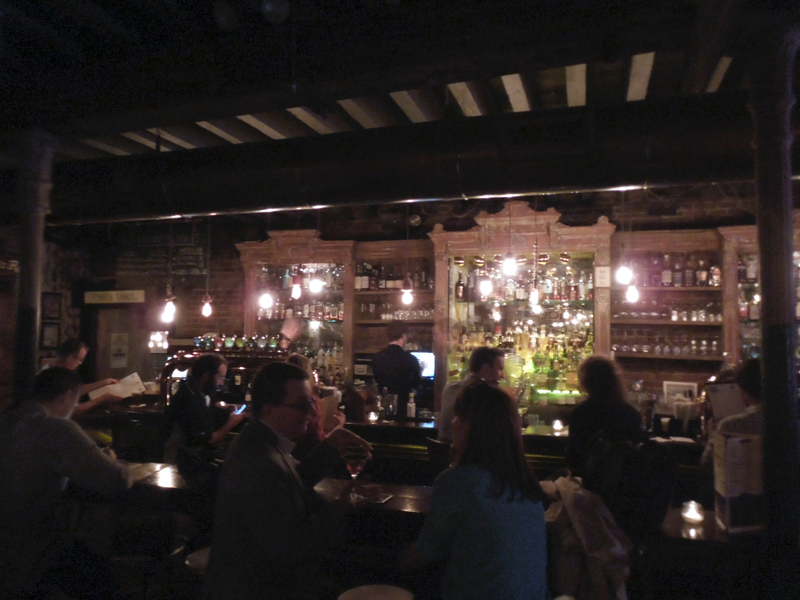 Also, if you think about how low candle light is and notice that the chandeliers are about an equal amount of light to the candles in this photo, that will give you a sense of just how dark and cozy this bar is. The bar itself still had pretty low light, but a lot more of it. I’m sure this is a huge help for the bar tender, and also helps you as a patron see what they have to offer on the shelves behind him. I’m not a fan of these red track lights, but I have a feeling they are pretty necessary so no one trips on the raised platform where these super comfortable sofas lie. 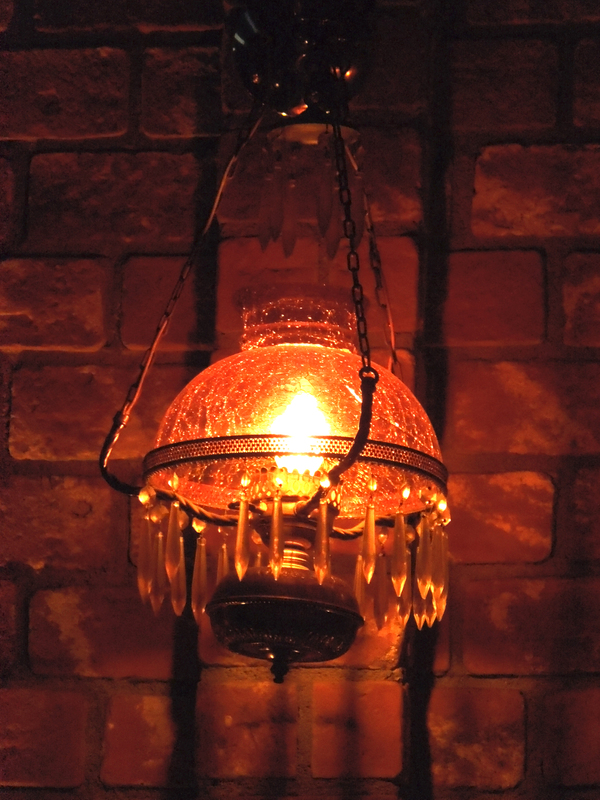 The lighting is the same here, only lit by very low chandelier light, candles, and a couple of downlights bouncing off of the dark, warm, patterned surface of the wall. I love this mirror over one of the sofas, and it definitely helps reflect some more light into the space. 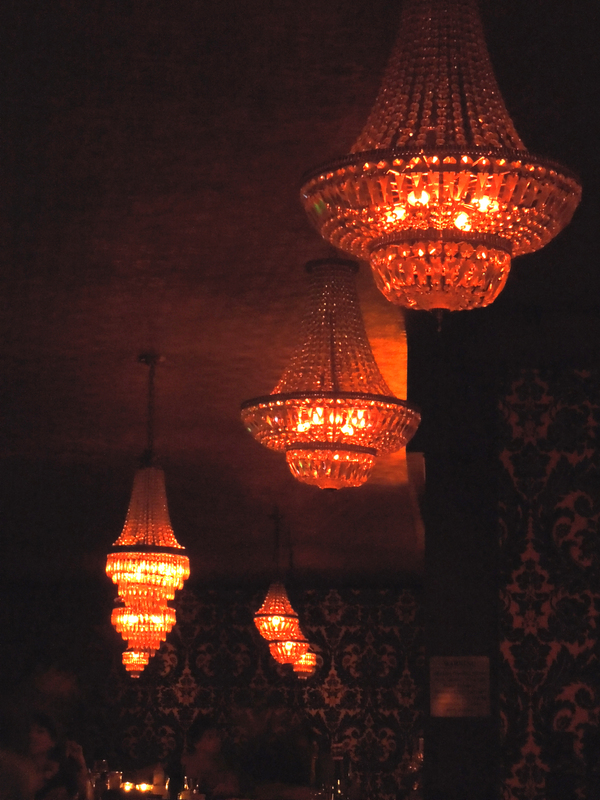 Even the short hallways were lit with this very low light coming from (smaller) vintage chandeliers. 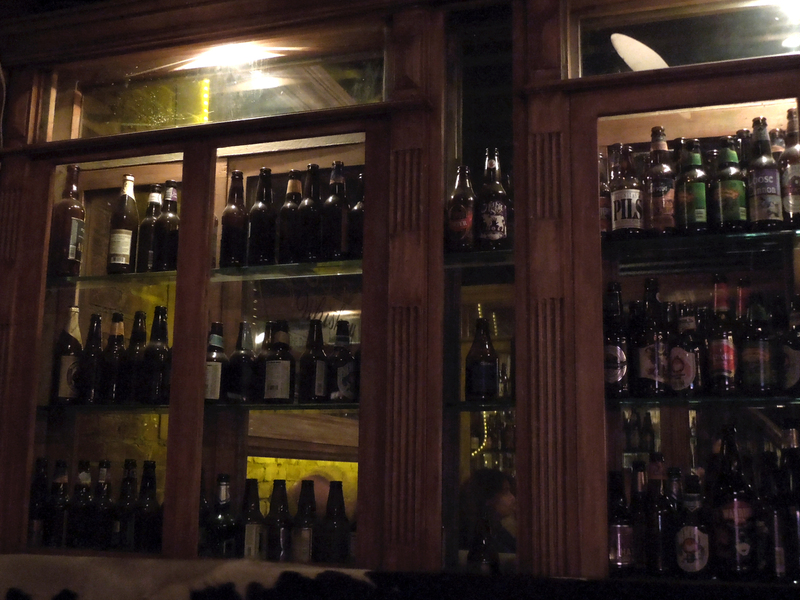 Once we discovered the back bar (which we overheard someone talk about), we parked it here for the rest of the night. 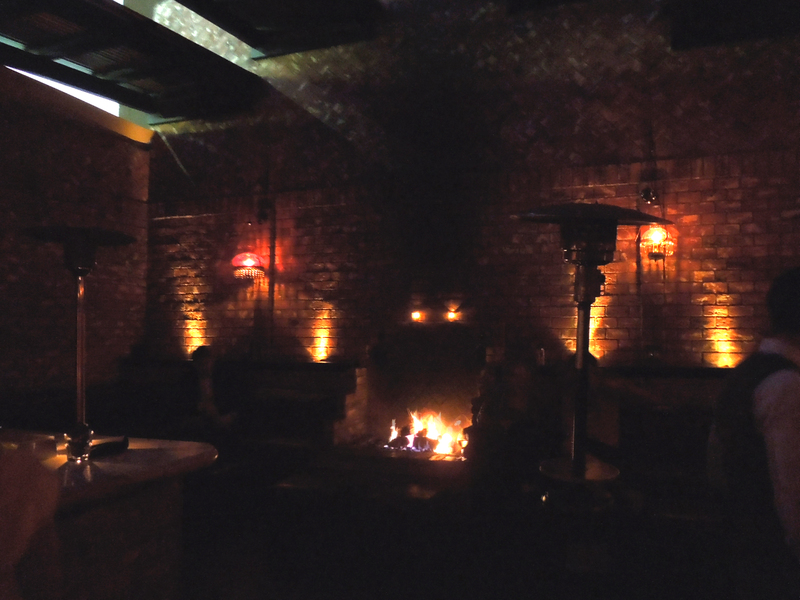 Same low lighting, but with a fire going in the center of the space to contribute to the intimate atmosphere. This is my kind of drinking spot! It wasn’t cold when we were there (it is summer, after all) but if it was, I’d happily sit right next to the fire all night with one of their delicious cocktails. 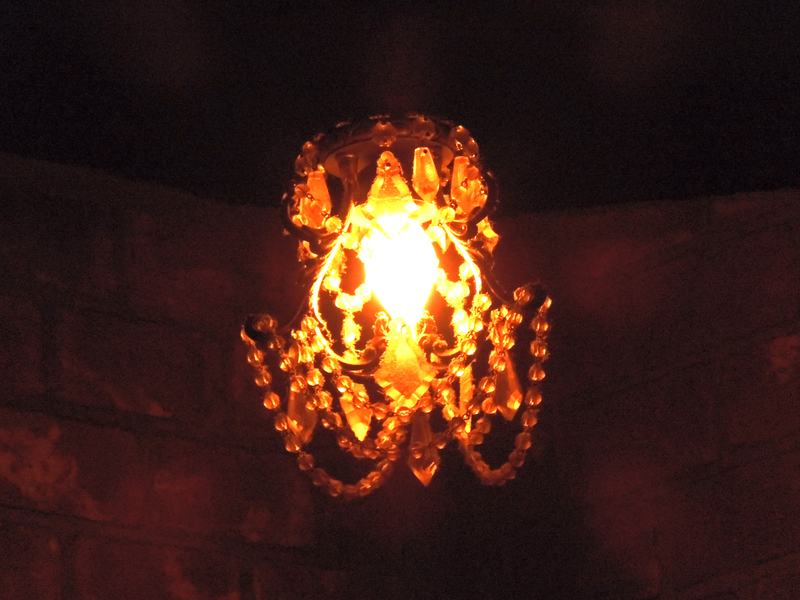 I especially loved the vintage sconces they had outside, much more suited for the outdoors since they have more of a covering over the top of the bulb, but still with the same vintage feel. 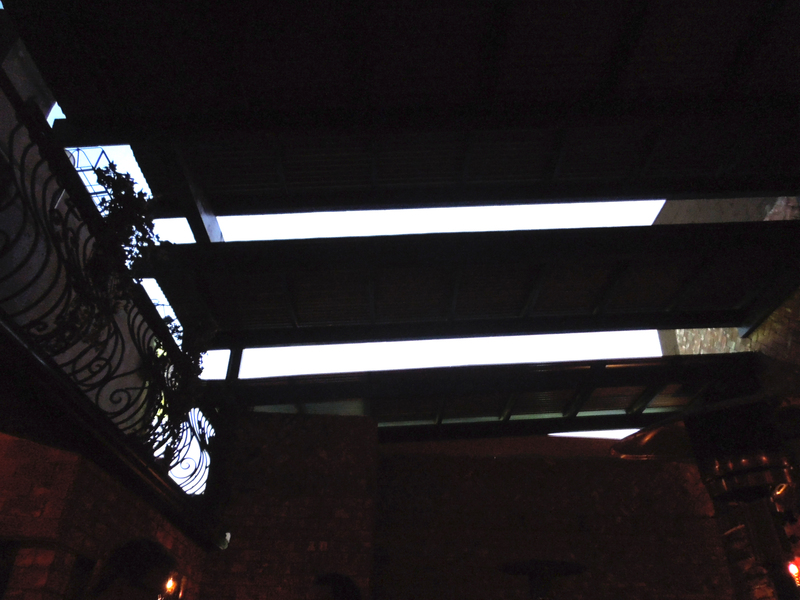 Plus, the back bar was open air! We caught the tail end of dusk there, but I would imagine in the winter when the sun sets much earlier, this opening doesn’t provide much light at all. It does, however, provide a nice amount of air flow and a little bit of glow from the surrounding lights of Hollywood. What do you think of the lighting? Would you like to settle in here for a beverage or two?